Data from the black box of Lion Air flight JT 610 has confirmed problems with the plane’s air speed indicator. It suggests that an instrument failure was something to do with why the flight crashed into the sea last week, killing all 189 passengers. Experts suspected that faulty air speed readings could have been a factor even before the black box was recovered. There could be more factors at play, and Indonesian authorities have said that a definitive explanation for the crash could take six months. Data from the black box from the Lion Air plane that crashed into the sea and killed 189 people has offered a clue about what went wrong, by confirming an issue with the plane’s airspeed indicator. The head of Indonesia’s National Transportation Safety Committee, Soerjanto Tjahjono, said on Monday that the flight data recorder from the crashed plane shows its last four flights, including the fatal flight on October 29, all had the problem. Tjahjono and investigator Nurcahyo Utomo told a news conference that the new information is consistent with earlier reports that the plane’s speed and altitude were erratic, the Associated Press reported. Aviation experts had previously told The New York Times that they believed the crash may have been caused by a flaw in a small metal tube, called a pitot tube, that is used for measuring airspeed. The flight’s erratic altitudes indicated a flaw in the airspeed measurement system, they said. The measurement is crucial when it comes to controlling the plane, and keeping it airborne. Passengers who were on the plane’s last flight before it crashed said that it was climbing and dropping so wildly that people on board were panicking and some vomited. Divers recovered the black box, which is actually orange, on Thursday morning, the fourth day of the investigation into why the jet downed and who the victims were. 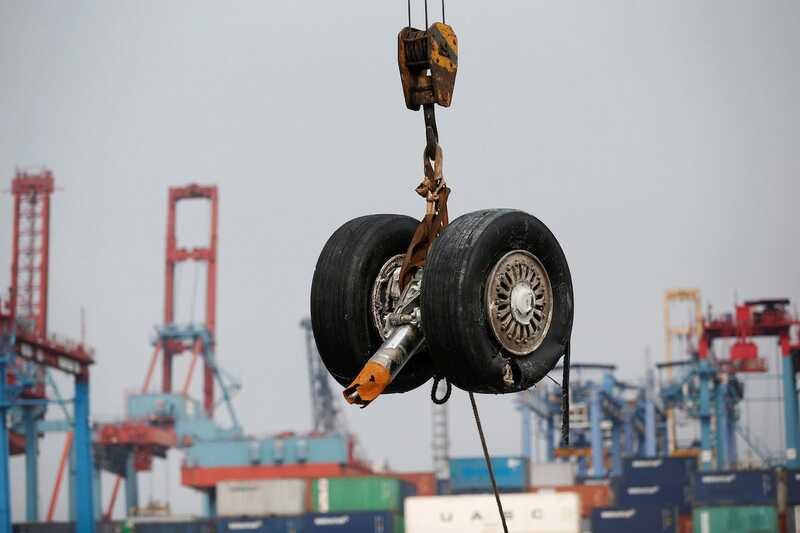 The main wreckage of the jet has been found, and divers have retrieved two turbines and a wheel from the sea. They are still searching for the cockpit voice recorder, which is also often called a black box. It may further aid the investigation. Boeing’s share price fell as a result of the crash. The manufacturer said it is „deeply saddened“ by the event. Tjahjono said that Indonesian investigators, Boeing, and the US National Transportation Safety Board will inspect Boeing 737 MAX 8 planes in light of the airspeed indicator problem.